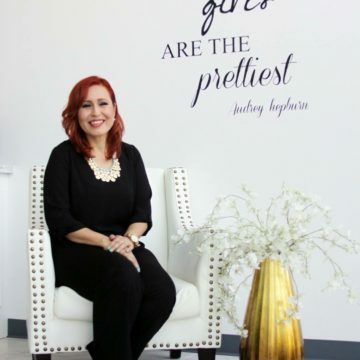 We would love to introduce you to our amazing beautiful master stylist and Aloxxi International certified color specialist Edna. She is known as our Color, Style, Cut & Up-do specialist. With 12 years of salon experience she specializes in flawless up-dos, precision cut, dimensional color, Balayage and color correction. Edna has devoted clientele who love the way her modern haircut and glamorous, natural color techniques make them look their most beautiful, while creating minimal stress on their hair. She has continued to perfect her craft with the best in the industry. Edna is Brazilian Blowout certified and continues to perform Brazilian Blowouts on a daily basis leaving her clients with gorgeous, shiny, sleek and frizz-free celebrity-worthy hair. Book your next beauty appointment with Edna and leave feeling and looking absolutely glamorous.